Why Land Rover is Better than Jeep? Finding the right vehicle in the Washington DC area requires knowing what you want. Drivers interested in unique models that are meant to handle the road may find yourself comparing Land Rover vs Jeep. However, when it comes to finding the vehicle that makes sense for your specific needs, you’ll quickly see the Land Rover is the better choice than the Jeep. Why? Compare the vehicles below to find out. Land Rover offers better tech. If you’re looking for any of this tech on any Jeep model, you simply will not find it. Land Rover offers more sophistication. Both the Land Rover models and Jeep models are known for being able to do a lot of adventure seeking in Arnold; however, Land Rover makes the ride more exciting. That’s because these vehicles deliver an incredible cabin experience that includes sophisticated features, such as leather seating, high-quality finishes, and so much more. If you opt for the Jeep, you’ll only have access to basic finishes, which doesn’t make you excited to get behind the wheel. Opting for the Land Rover over the Jeep is a smart decision. That’s because Land Rover models bring more technology and sophisticated finishes to the Baltimore roads. 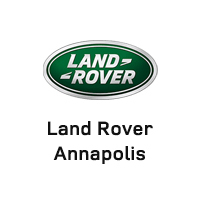 When you’re ready to make a purchase, be sure to visit Land Rover Annapolis, located at 101 Ferguson Road in Annapolis, MD. You can also contact us at (410) 904-3108 to learn about financing options or vehicle specials. 0 comment(s) so far on Why Land Rover is Better than Jeep?